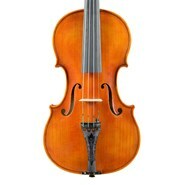 Originally from Vienna, Lutz studied violin making with his father before apprenticing in Berlin, Paris, and London. He eventually settled in San Francisco, where he quickly developed a fine reputation, both as repairman and luthier. 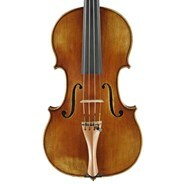 Famous violinists such as Kreisler, Zimbalist, and Carl Flesch performed at points on a Lutz violin. 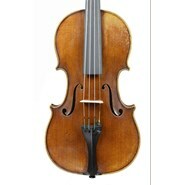 Using his “Ehrlich” Stradivari violin as a model, he fashioned excellent replicas with his personal touch. Philadelphia. John Albert who emigrated from Freiburg, Germany in 1848, took over the shop of Matthias Keller in Philadelphia in 1857. The firm was continued by the family into the 1930’s. 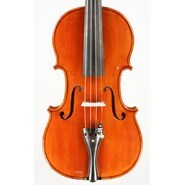 This beautifully made violin has a nice brilliant tone and is in excellent condition. 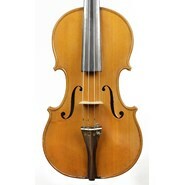 Very typical of 18th century Austrian making, this instrument was constructed on the Stainer model, with high arching and dark varnish. 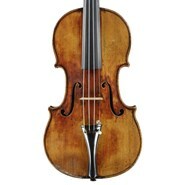 The William Lewis and Son certificate accompanying the violin states that it is characteristic of the Johann Georg Thir School, one of the greatest luthiers of the mid-18th century. 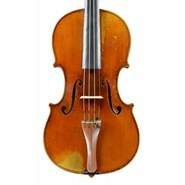 Indeed, this old instrument is a good example of Austrian violin making of that time. The tone is dark, warm, and mellow. 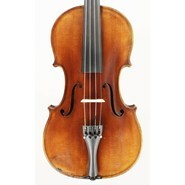 This beautifully made violin although undated, appears to be from the mid 19th century and is typical of the high quality of workmanship when Mirecourt violin making was at its peak. 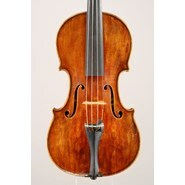 This example is in excellent condition and has a brilliant responsive tone. Horvath is an interesting young maker who has had success in various international competitions. 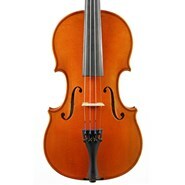 This violin has a brilliant, responsive tone. The Aschow family were the most important makers and dealers in the San Francisco East Bay area for almost 70 years, closing shop in 1969. John was born in Denmark and studied at the violin making school in Mittenwald before coming to this country at the beginning of the last century.